Our Board Members - THE HELPING HAND OF GREATER LITTLE ROCK 1601 MARSHALL ST. LITTLE ROCK, AR 72216 (501)372-4388 The Helping Hand Food Pantry and Thrift Shop of Greater Little Rock, AR. Thank you for visiting! Gayle graduated from Louisiana State University with a Bachelor of Science Degree in Nursing. She worked for 30 years mainly in Nursing Administration. Gayle has lived in North Little Rock since 1972, and began volunteering at Helping Hand in December, 2000. 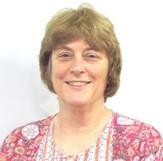 She was appointed to the Board of Directors in April, 2006, and was later nominated and appointed Board Treasurer. See more about Gayle on LinkedIn. Sister Maria is a member of the Daughters of Charity, a religious community of women, which was founded by St. Vincent De Paul and St. Louise De Marillac over 300 years ago to serve persons who are poor. For the past 11 years, she has served as Outreach Coordinator at Helping Hand of Greater Little Rock, Arkansas. Sister Maria has recently been privileged to retire to art ministry where the sale of note cards, prints, and paintings continue her mission. All proceeds benefit the Helping Hand of Greater Little Rock. See more about Sister Maria at LinkedIn. 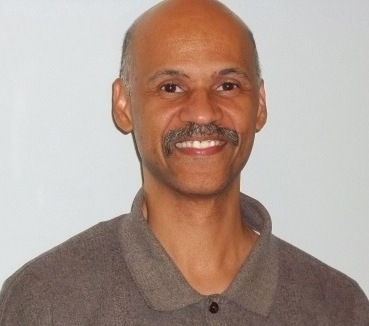 Phillip has graciously accepted the honor to serve as,President of the Board at Helping Hand. We look forward to Phillip's leadership. 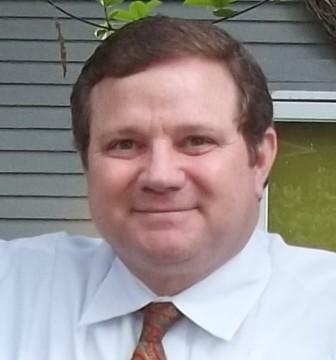 Phillip is Director of Revenue Requirements and Analyses at Entergy in Little Rock, and a graduate of University of Arkansas at Little Rock with a Bachelor of Science in Accounting. See more about Phillip at LinkedIn. 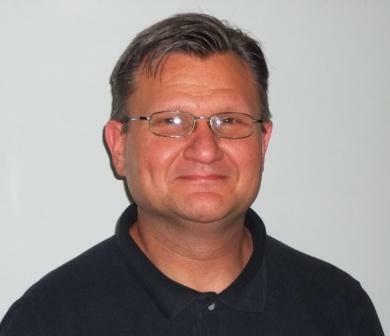 Nick has also served on the Board of Directors for Arkansas Hospice Foundation, and is a past Board Member of Mary's House Catholic Worker Shelter in Birmingham, AL. Nick is a native of St. Louis, but has called Little Rock home for 14 years. He and his wife Nancy have been married for 25 years, and have two wonderful sons. The Ferrara family have been members of Our Lady of Holy Souls Catholic Church since moving to Little Rock in 1998. Nick is a graduate of the University of Missouri-Columbia School of Journalism. See more about Nick on LinkedIn. Sharon A. Coussens is a stay-home mom and mother to two children, and wife to David, a local Urologist. Sharon is the Volunteer MOMS (Ministry Of Mothers Sharing) Pantry Coordinator at Christ The King Catholic Church in Little Rock. MOMS Pantry is a food donation program that began in 2005 as an effort to increase and consolidate food donations at the church. Sharon has been a volunteer coordinator of MOMS since May, 2009. Helping Hand provides a monthly list of needed food items to MOMS Pantry, and MOMS shares this information with Christ The King parishioners, who purchase any or all of the items and deliver them to Helping Hand each month. MOMS Pantry is pleased to share food with the needy of Central Arkansas. 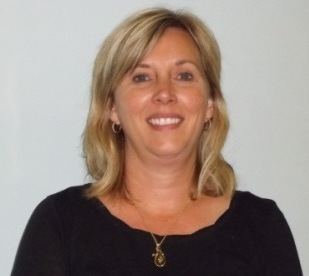 Kathy Loyd is a former legal secretary and bankruptcy paralegal in Malvern and Hot Springs. She has been a stay at home mom and volunteer for the last 17 years. She has volunteered at Helping Hand for the last 9 years and been on the board for 4 years. Kathy is married to Louis, who practices law in Malvern and the surrounding areas. They have three children and one granddaughter. They attend St. Bartholomew's Church in Little Rock and also attend St. Theresa's when their son plays in the band. Kathy is a Master Gardener with Pulaski County. She does project work at Historic Mount Holly Cemetery and also works on the grounds at Catholic High School and at St. Bart's. 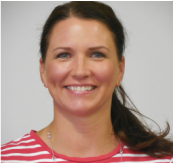 She is a volunteer at Catholic High School which includes being a Rocket Mom, coordinator of football meals, and a Junktique Volunteer. Kathy and Louis divide their time between a home in Malvern and an apartment in Little Rock. Bill is a Little Rock native, born December 6, 1960. He's a proud graduate of Little Rock Catholic High School, as well as the University of Arkansas. He and his wife Carol were married in 2001, and they have two wonderful kids: Connor (6), and Josie (4). The children attend St. Edward where Bill and his family are active members of the church and school. He is a licensed contractor and owner of Distinctive Kitchens and Baths. Bill's hobbies include cooking and keeping up with his kids! He is proud to serve on the board of Helping Hand. See more about Bill at LinkedIn. Elizabeth (Beth) Howard was born in Manhattan, Kansas and spent her childhood in New Mexico. She graduated from University of Central Arkansas with a degree in chemistry and from University of Little Rock with a degree in Environmental Health Sciences. In 1975, Elizabeth married Glenn Howard. Glenn and Beth have three children, David, Erin and Emily. Glenn was very active in Helping Hand up to his death in 2003. Upon his death, Beth was elected to the Helping Hand Board. Carolyn is a retired School Administrator of Mount St. Mary High School in Little Rock, and a member of Immaculate Conception Church in North Little Rock. Carolyn volunteers at Helping Hand each Thursday. Pauline is one of Helping Hands newest Board Members. She and her family attend Our Lady of the Holy Souls Parish in Little Rock. See more about Pauline on LinkedIn. Donzell Johnson has been a part of Helping Hand since 1996. 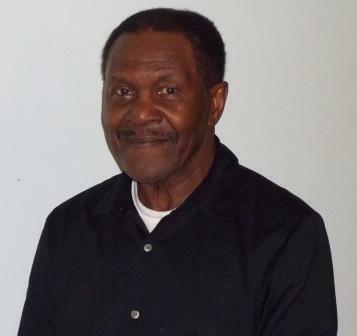 He has attended First Baptist Church for 52 Years, where he is a Deacon and serves on the Finance Committee. After working 30 years with Westinghouse/Phillip Lighting, Donzell retired and began his career here at Helping Hand doing various jobs. He is our "Go To" guy whenever and wherever assistance is needed. 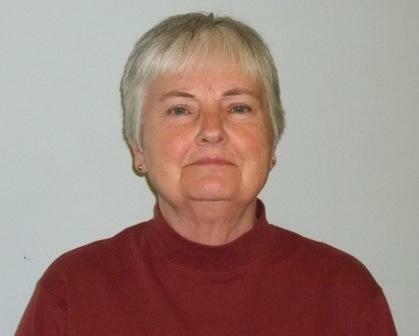 Margaret is a former Administrative Medical Assistance for a period of 44 years, and has worked for many outstanding physicians and companies. "I always strive to put the patient/member first," says Margaret. She has served on the Helping Hand board for many years and broadened her volunteerism to include several other non-profit organizations including Arkansas Cancer Society, JDRF, Easter Seals Foundation and The Susan Komen Foundation. 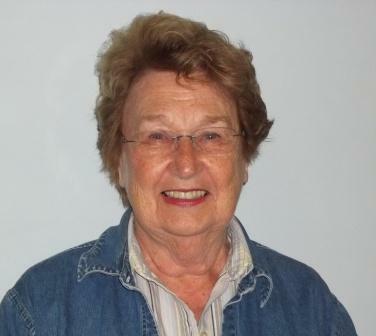 Margaret's "spiritual uplift" comes from her home parish, St. Bartholomew Catholic Church where she serves as President of the Finance Committee, and is a member of the Ladies Auxiliary, and assists with parish decoration and any other tasks as needed. Margaret's mission in life is "to lighten the load of my fellow man, so that we can all move through life a little easier, spiritually as well as physically." Connie Prause Harkins is a native of Little Rock. She has a Bachelor of Business Administration degree from the University of Arkansas at Little Rock. Connie is married to Al, and has one son, Tyler. They are members of Christ the King parish. She currently works for State of Arkansas Senate during the legislative sessions each year and has been a volunteer at Helping Hand since 1989. 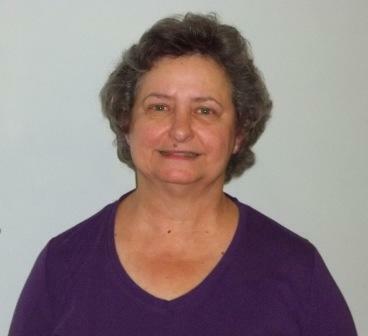 Diane Hanley has been a resident of Arkansas since 1977, having grown up in a military family. She is a parishioner of Our Lady of Good Counsel Catholic Church. Among other activities there she coordinates the annual Rummage Sale, Palm Sunday Seder Meal, and participates in the annual Jubilus Dinner Theater. Diane has been married to Ray Hanley for 33 years, and they have three children and two grandchildren. Renae Peterson earned a Bachelors degree in Biology from Truman State University in Kirksville, Missouri. She, her husband Stephen, and their four children and have called Little Rock home since 2006. The Petersons are members of Christ the King Catholic Church where Renae has been the MOMS (Ministry of Mothers Sharing) Pantry Coordinator since 2014. MOMS Pantry is a food and clothing donation program which collects items as well as assisting the needy in Central Arkansas. MOMS pantry gathers items of need from the Christ the King parish and delivers them to charities including Helping Hand. Renae has been a cashier in the Helping Hand thrift shop since 2010. She currently serves on the Helping Hand Advisory Committee, which establishes a dialogue between the board of Helping Hand and the community. Anne Hiegel was born in Dayton, Ohio. After graduating from St. Louis University with a nursing degree she moved to her husband's home town of Little Rock. She and her husband, Ken have four children and are members of Christ the King parish. Anne has been a nurse at Arkansas Children's Hospital since 1990 and currently works as a clinical research coordinator in the Allergy/Immunology Department. Anne joined the Helping Hand Board in April 2007 taking her mother-in-law, Mary Bea Hiegel's position following 23 years of service.